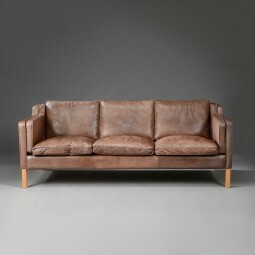 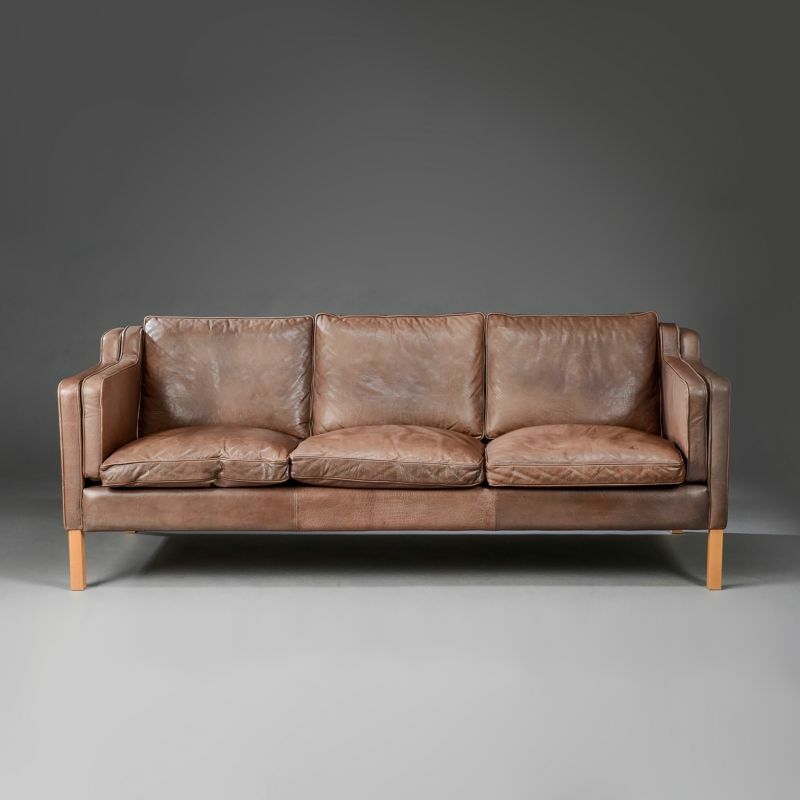 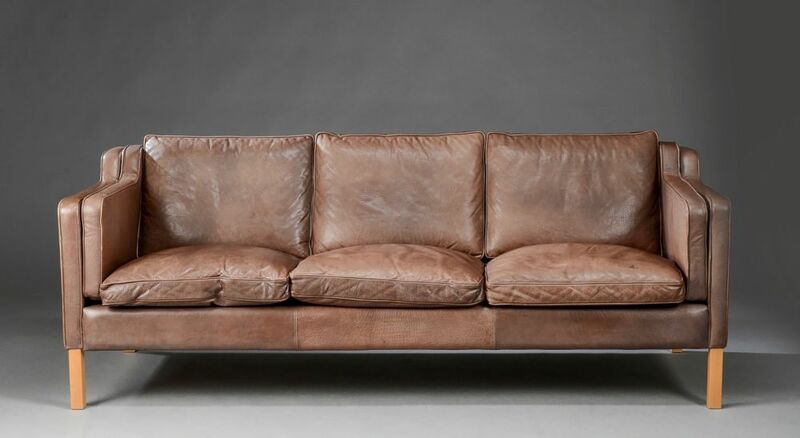 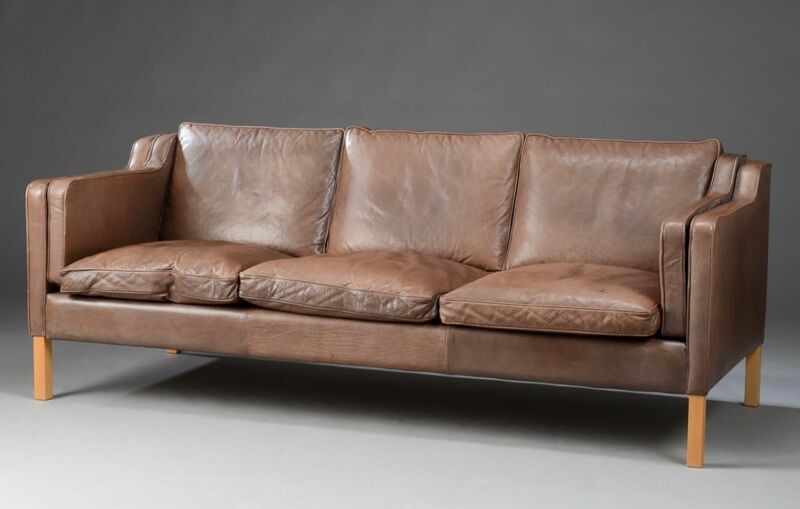 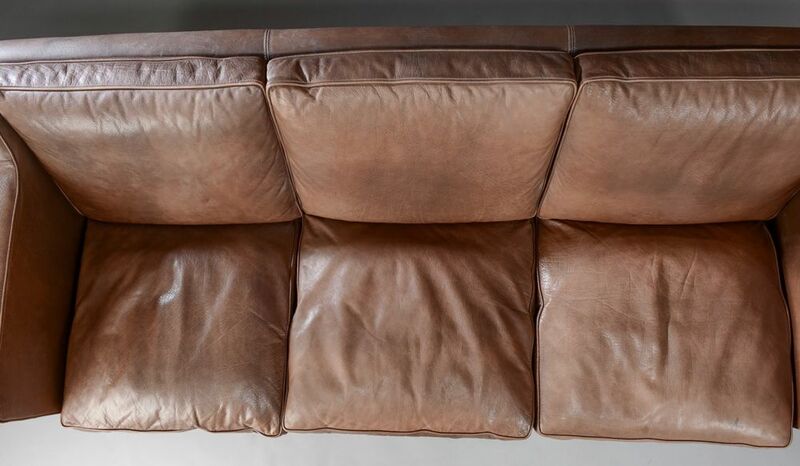 This is a very stylish leather sofa designed and made by Stouby in the style of the Danish architect and furniture designer, Borge Mogensen. 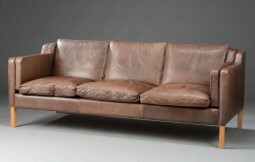 The measurements are 201 cm wide, 82 cm deep and 77 cm high. 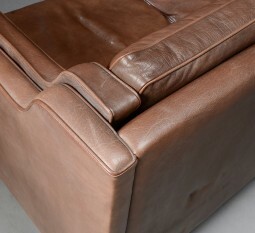 The seat is at 44 cm high.